When they’re seeking comprehensive services for garage doors, Camas home and business owners call on Coast to Coast Garage Doors. We offer robust services that span from installation to repair and replacement. No matter what you need in garage doors, Camas experts with our company get the job done quickly, reliably, and affordably. Get the garage door services you need most! Garage Door Installation – For installation of garage doors, Camas needs vary greatly. Commercial sites often require enhanced security and can benefit from remote operation. Residential homes are often best serviced by a well insulated door. Our experts work with you to identify your needs before providing recommendations. With a variety of doors from the most trusted manufacturers, we can help you identify the door that will suit your purposes and aesthetic best. Installation is performed by experienced technicians who thoroughly test all work for air tightness, strength, and reliability. 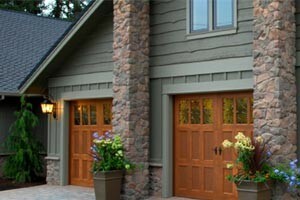 Garage Door Repair For repairs of garage doors, Camas customers face many issues. Garage doors can be damaged in a number of ways. These include environmental, accidental, entry related, and component damage. We have the skills and knowledge required to repair any repairable damage. If repairs aren’t a cost effective option or will present security concerns, we’ll let you know all your options before beginning work. Our trucks are stocked with a variety of parts, and we can often perform on the spot repairs for garage doors with bad openers, that are stuck open or closed, or have spring problems. Never repair a garage door spring by yourself. These carry hundreds of pounds of force, and a mistake can cause life threatening injury. We perform spring replacements quickly, affordably, and most importantly, safely. When you need services for your garage doors in Camas, call (360) 616-1545 or Contact Us for professional service today.